Welcome to Bad Wolf Costumes' analysis/tutorial of the Fifth Doctor's trousers! 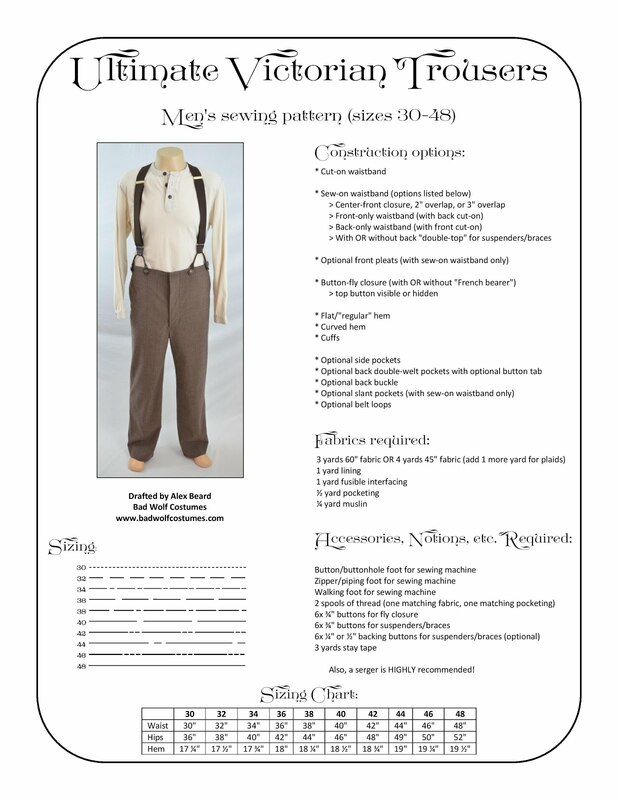 We primarily researched and analyzed the Fifth Doctor's trousers for our men's "Ultimate Victorian Trousers" sewing pattern (see right), but we're happy to share our research and findings with you here, as well as our free sewing tutorial intended to accompany our pattern. A free downloadable PDF of this tutorial is available here on the Bad Wolf Costumes web site for your convenience. And as always, we'd like to extend a special thank-you to Michael Cowart for his consultations and inspiration!